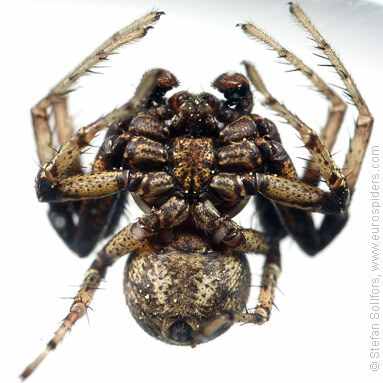 Female Xysticus audax from above. 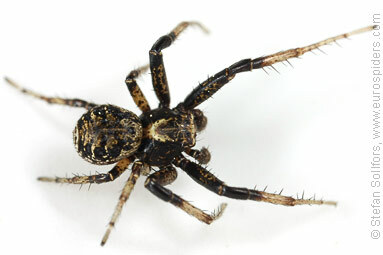 Male Xysticus audax from above. 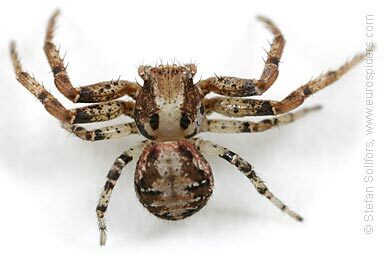 Young male Xysticus audax from above. 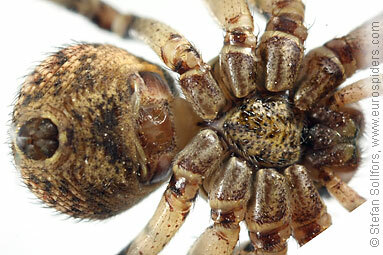 Female Xysticus audax, head-on view. 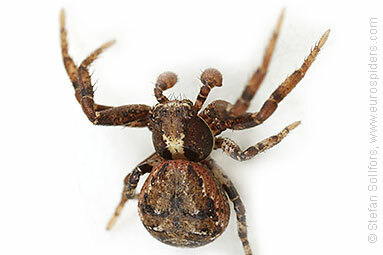 Male Xysticus audax, head-on view. 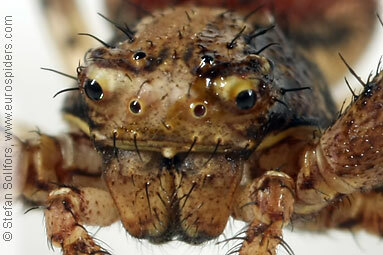 Close-up of the head of a female Xysticus audax. 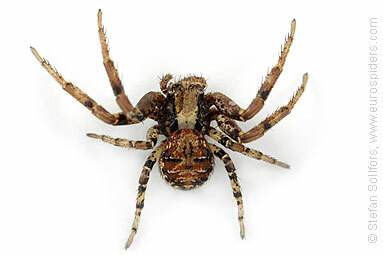 Young male Xysticus audax, head-on view. 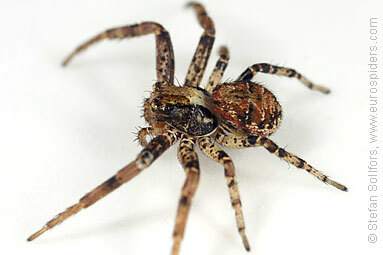 Female Xysticus audax side view. 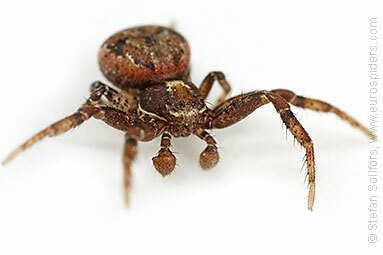 Young male Xysticus audax, side view. 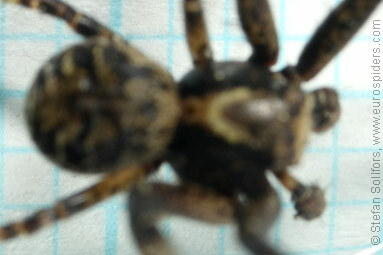 Female Xysticus audax from below. 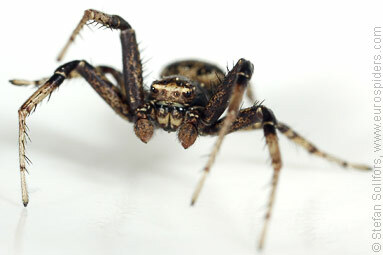 Male Xysticus audax from below. 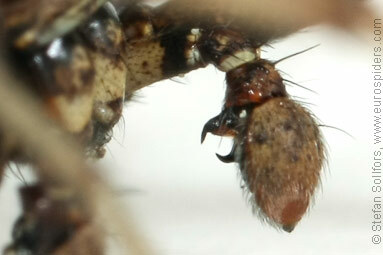 Close-up of the epigyne of a Xysticus audax. 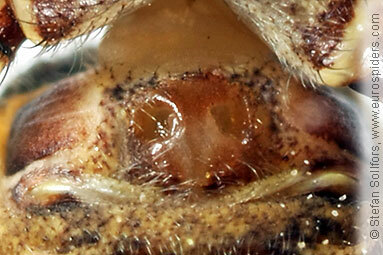 Close-up of the palp of a male Xysticus audax. 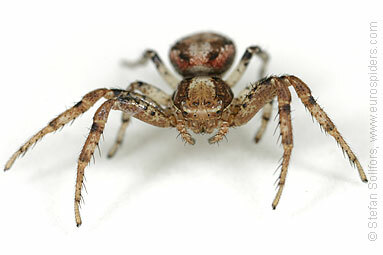 Female Xysticus audax, 5 mm long. 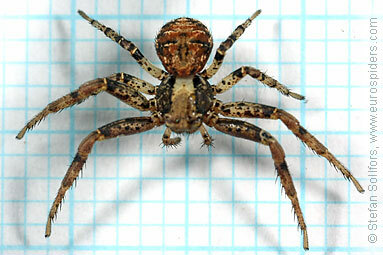 Male Xysticus audax, about 5 mm. 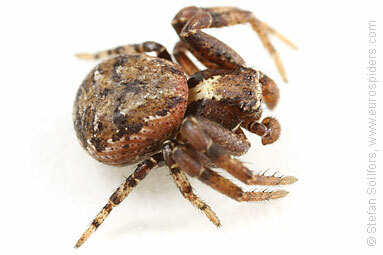 Xysticus audax, a ground Crab spider.